The TOUGHEST race in the states! Sara Price and Erica Sacks fought hard through the race, but multiple mechanical issues plagued their performance. The qualified 7th over all the day prior. Another year has passed already and the 2019 Nitto King of the Hammers delivered great rock and desert racing action. Hammer town opened on February 1st, and once again holds some of the best products on display by vendors with live footage of the racers battling through giant boulders, deep sand and flat out desert sections. This view of spectators at Chocolate Thunder pales in comparison to the vastness of Hammer Town off in the distance! Last year, over 60,000 spectators, racers, pit crew, vendors, and more set up camp at KOH and each year the numbers grow, just like the UTV competitor numbers do. Over 100 teams entered the race, and as usual, half of them and more never finished in the time period. This years podium was full of Polaris RZRs. Mitch Guthrie Jr. and Jon Crowley came out on the top spot with impressive driving and codriving. #9 Mitch Guthrie Jr. bested his father Mitch Sr. once again to land the win this year! He crossed the finished line of the 160+ mile race over thirty minutes ahead of the next closest competitor, which was last years second place finisher Branden Sims. Branden Sims piloted his Polaris RZR to the final spot on the podium. Sims battle hard to finish the line in second, but unfortunately a penalty landed him and his #913 Polaris on the third step of the podium. Wayland Campbell drove with greatness to a second place finish at KOH this year. 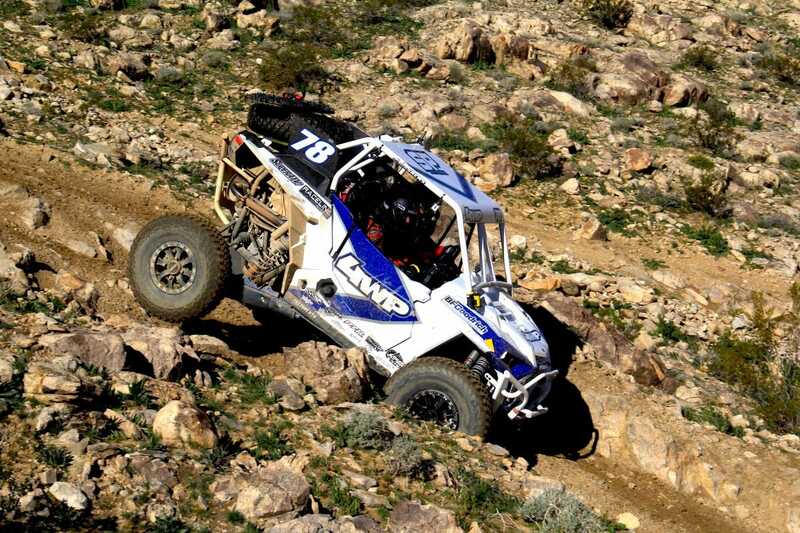 Wayland Campbell races Ultra 4 rigs, and utilizes the UTV race as his practice. It’s no surprise that he torqued his way onto the podium in his Monster sponsored #3 Polaris RZR. The rocks and boulders spread apart the top competitors from the rest of the field. Racers piled in as the sun started setting, some teams getting towed, others under their own power. The racing was exciting and brutal as always with KOH. We already cannot wait for next years event! Go to www.ultra4racing.com to keep up with next years schedule. Dustin Jones landed a 10th place finish. This is his first KOH and had little time to prerun in elements he doesn’t drive in with his Can-Am Maverick X3. THE NEW MARCH ISSUE IS HERE!